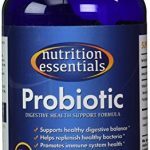 PRO-15 is the best-selling probiotic and most popular Hyperbiotics probiotic supplement line for a reason. The product is simply the product of thoroughness and thoughtfulness. Read more in detail below. Hyperbiotics probiotic supplements are an all-out favorite for many different reasons, including the fact that they are the smallest probiotic capsule on the market. What’s even more amazing is what’s inside that tiny probiotic pearl. Let’s review Hyperbiotics PRO-15 and see if it’s really worth all that hype. Feature number one: a tiny pearl one third the size of competing capsules. Inside this probiotic pearl, Hyperbiotics has managed to pack three different types of 15 strains of bacteria, talk about quantity and diversity! Oh, and there’s much more: slow-release delivery, an 18-month shelf life (at room temperature), and zero soil-based organisms. Hyperbiotics PRO-15 is a natural probiotic supplement that breaks quite a few records. It features one of the smallest probiotic capsules on the market (beat by one of its own, Hyperbiotics PRO-Kids), and is very minimalistic in both content and function. 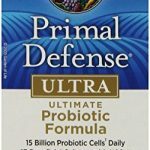 This is an easy-to-swallow, easy to incorporate in your daily life probiotic as it is only taken once a day and functions throughout the day via the company’s patented, one of a kind, controlled-release delivery system. Each PRO-15 probiotic pearl is packed with 5 billion Colony Forming Units (CFUs) which translates to a whole lot of friendly bacteria in your gut. Take into consideration that Hyperbiotics has one of (if not the) highest retention-rate of live probiotics reaching the gut and you can see why it is considered the very best in probiotic health supplements. Also notice that Hyperbiotics PRO-15 pearls are only taken once per day as opposed to 2-3 times a day for the average probiotic capsule. With its controlled-release delivery, once a day is all that’s needed to deliver some serious gut health. 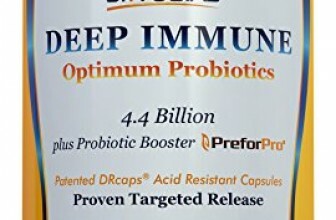 PRO-15 is aptly named after its content of 15 targeted probiotic strains, including the superstars of the probiotic family, Lactobacillus, Streptococcus, and Bifidobacterium strains. What’s missing from PRO-15 is just as important as what’s there and what’s missing are strains foreign to the human gut. 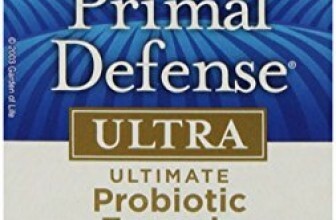 That’s right, not only is this probiotic supplement packed with a diverse selection of micro-goodness, but it only contains strains that should naturally be present in our gut environment, which means zero Soil Based Organisms (SBOs) or active yeasts. Hyperbiotics PRO-15 is designed with a formula and structure aimed at maximum absorption and boy did they surpass competition. Released over an 8-10 hour period, this is one of the very few probiotics that reaches deep into the gut to deliver an astounding 60% of intended probiotics- most capsules, powders, and cultured foods only retain 4%, a quantity that does not effect any benefits. Hyperbiotics uses BIO-tract technology to deliver a controlled release of probiotics throughout the day. 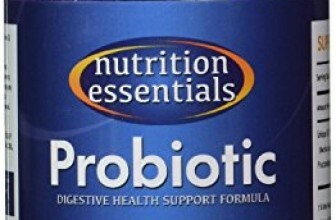 It is the only probiotic specific technology of its kind and has been patented in 31 countries. This is serious and it seriously works. Hyperbiotics PRO-15 did a couple of things different and that made all the difference in their product. Other than getting rid of fillers and compacting an effective selection of probiotics into a tiny, easy-to-swallow pearl, they also made a probiotic that does not need to be refrigerated. That’s right- PRO-15 has a guaranteed shelf-life of 18 months after the date of manufacture. While the company gets some serious PR with that “No Refrigeration Required”, we do encourage you to stick that container in the fridge to ensure potency. Hyperbiotics PRO-15 has a minimum of 1.5 billion CFUs at the date of expiration. PRO-15 is the best-selling probiotic and most popular Hyperbiotics probiotic supplement line for a reason. The product is simply the product of thoroughness and thoughtfulness. Everything from the vegetarian pearl-sized capsule to the controlled-release delivery of probiotics, to the fact that said probiotics actually reach your gut, speak to the quality of the product.